Saving money. It’s something everyone wants to do, right? And grocery shopping is something we all have to do, because, you know, the family thinks they need to eat every day. 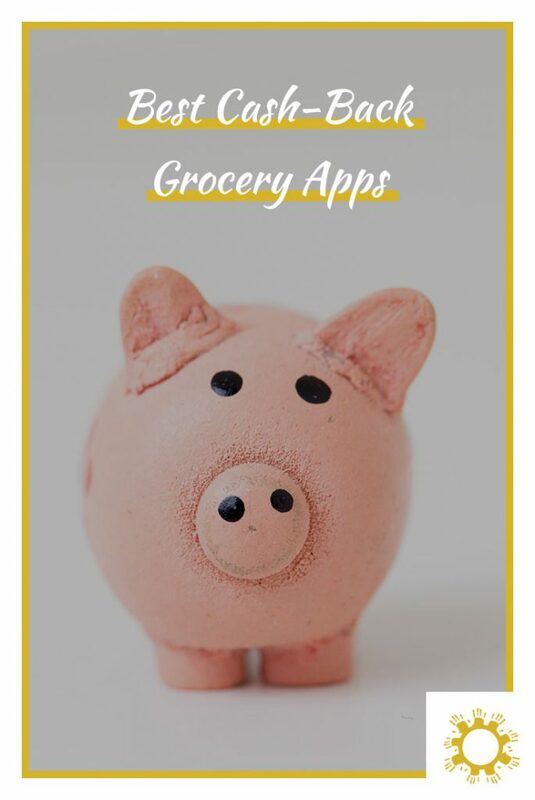 With this in mind, I have found a few different cash-back apps that have helped us save money when it comes to our grocery shopping. I like the cash-back apps because they take very little effort with pretty good results. There are 4 apps that I use every time I get home from the grocery store. Some of these are apps I’ve been using for a long time, others I have found more recently. Also, some of them I get more money back than others, but they are all something! My first app is always the Walmart savings catcher. Of course, if you don’t shop at Walmart, this one obviously doesn’t help much. When we lived in Florida we usually shopped at Publix (I miss Publix! ), but now our closest grocery store is a Neighborhood Marketplace Walmart, so that’s where I go. The Savings Catcher is the easiest of the apps to use. You have to set up an account with Walmart, and download the app. There’s an option for Savings Catcher, and all you have to do is scan the bar code on your receipt. That’s it. After a few days the app checks other stores in the area for lower prices, and if they match anything you get the difference back. Whenever you are ready, you now have to set up Walmart Pay, meaning you have a credit card on file with the app. At checkout use your app to pay and it will pull from the Savings Catcher money first, then charge the rest to the credit card on file. Bonus: you also produce less waste this way because the receipt is automatically loaded to your account so you don’t get a paper copy and it runs through Savings Catcher for you. Besides the Savings Catcher, my next favorite cash-back app is Ibotta. This takes a little more effort than the Walmart app, but it’s still easy to get money back with it. After you have your grocery receipt, you check the app for any items you purchased. Activate the offer, scan the barcode for the product, then scan the receipt. The great thing is that you can use this app for many different stores. And more than just grocery stores as well. Tip: If you use the Walmart Savings Catcher and don’t have a paper receipt, go to the receipt in the app and find the QR code at the bottom and do a screenshot. Text that to someone else with you and scan it from their phone. It works the same as having the physical receipt but you still aren’t wasting paper. If you link up with other friends, you form a team. Depending on how many offers your team redeems in a month, you can earn extra. If you want to download the app and join my team, you can use my referral link. Once you get a savings of $20 cash back, you can cash out with a transfer to PayPal or venmo, or choose different gift cards. I like this app because you can get straight cash from it! Checkout51 works very similar to Ibotta. You activate an offer, scan the product, then scan the receipt. I check this app every time I go grocery shopping, although I don’t find as much on here. I buy a lot of generic brand groceries, and the app is all name brand. Every now and then I do find some offers for things we buy. They also have a current option to enter any grocery receipt of $60 or more for a chance to win $500. Checkout51 also has a cash-out minimum of $20 in savings. Once you have that and request your cash-out, they will mail you a check to deposit. SavingStar is another app similar to the method of activating offers, scanning barcodes, and scanning your receipt. Personally, I find the least savings on this app, but I still check it. Again, it is all name brand items, so that limits my purchases. The other problem I run into is on SavingStar, you often have to buy multiples of products to get the savings, which I usually don’t do. Once you have $5 in savings, you can cash out to a bank account, PayPal, or gift cards to Starbucks, AMC Theatres, or iTunes. You may ask why I use cash-back apps, rather than coupons. Sure, you could do both, but I found coupons a pain to deal with. You have to watch expiration dates, limit requirements, and just the general pain of having to carry them with you. Oftentimes the coupons wouldn’t work, and the time it takes to clip coupons. It just wasn’t worth it for me. These cash-back apps are great because I don’t have to put much work in, but have a great return. Of course, to maximize the return, once you make your grocery list, you could look through the current offers to see if any match for what you are buying. I love grocery apps! I use all these myself and more. Saving is what I’m all about. Shared on FB and tweeted! It’s amazing that just a few extra minutes can see such a great savings! Thanks for sharing! Wow I had no idea about any of these, I use coupons a lot, but these seem much easier..thanks for sharing! I used to try coupons too and it was such a mess and they would expire before I used them. I love these. I’ve made over $200 on the groceries I was already buying! Really good article, I did not even know about some ways to get money back. Thanks for the advice. I have heard of Ibotta but not the others. I am excited to give these a try and start saving some money on groceries! Great Article. I really need this right now, saving money is one of our main goals. This really helps. Thanks a lot! I wasn’t aware of most of these. It’s always a good thing to save some money. Unfortunately, these ones aren’t available here in the UK! Though we do have some and I’m trying to teach my mother to use them. Love these kind of things and glad you’re letting people know about them! This is a great list. I love the apps you picked. I’m going to have to try some of these for sure. I love ibotta! I love that you can easily scan your food and get money back! I have four kids who eat a lot so these apps and tips are so helpful! Definitely looking more into them. Those are good apps that I must download to my devices so that I can use it to save my money and controll my spending! Thanks for posting! I agree! All of us wanted to save money. Thank you for sharing. And what a great way to save money! When combined all the amount, that is a big money being saved.